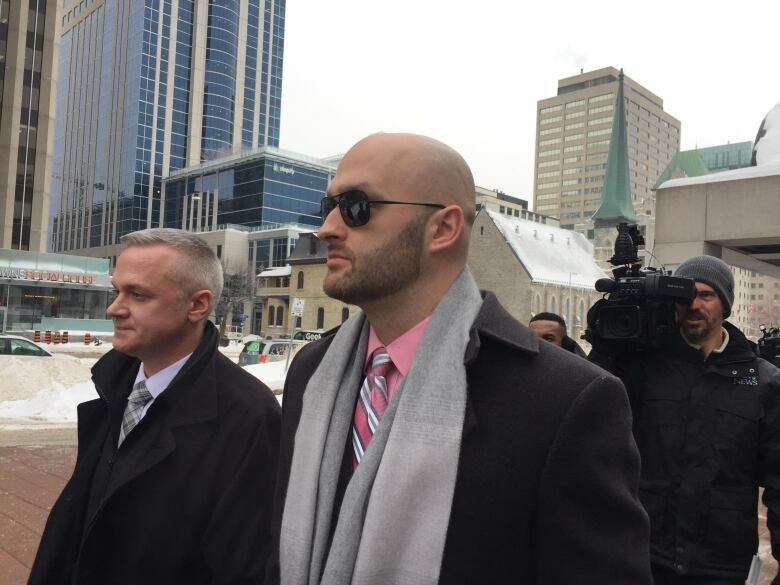 Video of Abdi was played as part of the Crown's case against Ottawa police Const. Daniel Montsion, who has pleaded not guilty to manslaughter, aggravated assault and assault with a weapon in Abdi's 2016 death. The graphic video shows the aftermath of a violent altercation between Abdi and police, in which Montsion is alleged to have delivered several punches to Abdi's head and legs. Abdi's neighbour, Nimao Ali, captured the scene on her phone from her fourth-floor balcony, shortly after police officers wrestled Abdi to the ground. Ali testified Thursday that she was sleeping when she heard a loud noise and ran to her balcony that day, where she saw Abdi lying face down on the ground at the front entrance of the building. In the video, Montsion remains crouched over Abdi, holding him in the recovery position for about seven minutes before the ambulance arrives, according to the video. "Oh my God, he's going to bleed to death," Ali is heard saying in the video. When the ambulance arrived, it wasn't using sirens, Ali testified. In the video, paramedics are seen speaking calmly with a police officer for several moments before attending to Abdi. The courtroom gasped as the video showed Abdi being rolled over, appearing lifeless. Montsion is the first to perform chest compressions. Bystanders in the video are then heard shouting at officers repeatedly that Abdi is mentally ill.
Then the ambulance pulls away without lights or sirens. "How come he's not putting sirens on?" Ali is heard asking in the recording. In the courtroom she started sobbing several times, prompting Justice Robert Kelly to call for the video to be paused. "It's difficult to relive," she told him. Shortly after capturing the video, Ali went to the hospital to help translate for Abdi's family members. Initially police wouldn't allow the family and Ali into Abdi's room, but eventually they were allowed to recite an Islamic prayer for the dead over his body, she testified. They believed he had died, she said. Abdi wasn't officially declared dead until the next day. Abdi supporters packed the courtroom to near capacity Thursday in anticipation of Ali's testimony. 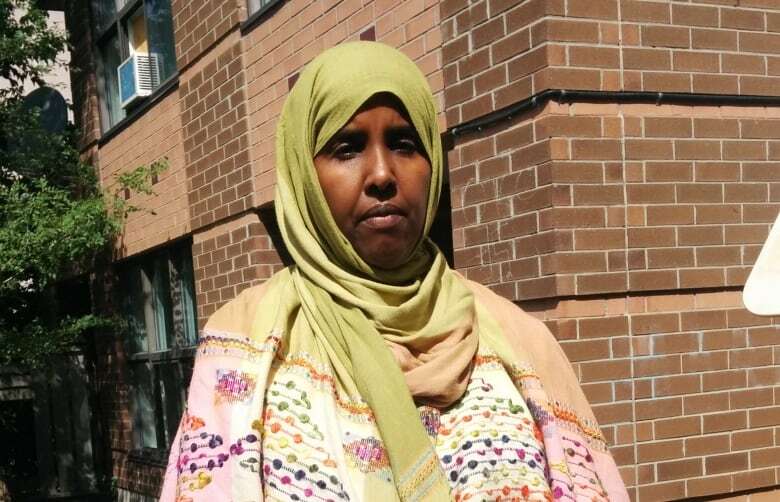 She is the first member of the Somali community or tenant of 55 Hilda St. to testify. "We wanted to make sure that when Nimao looks into the courtroom she sees family, friends, supporters who are here for her," said Dahabo Ahmed Omer, a spokesperson for the Justice for Abdirahman Coalition. The defence plans to cross-examine Ali before the court hears from the paramedics who treated Abdi at the scene.